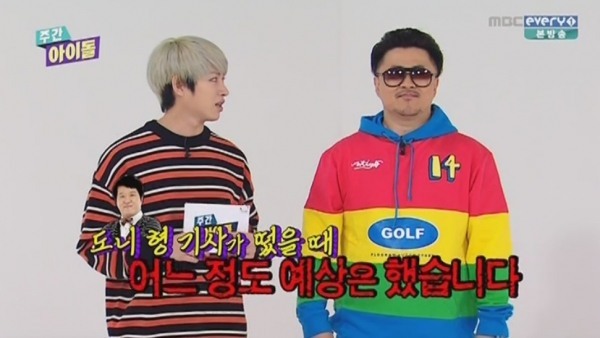 Who is your favorite ‘Weekly Idol’ cohost? 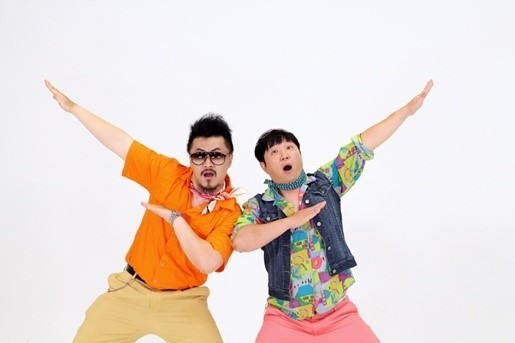 Versatile Korean comedian Jung Hyung-don and rapper-entertainer Defconn enabled “Weekly Idol,” aired through Korean satellite network MBC Every 1, to become one of the longest-running satellite entertainment shows. When the program, which features diverse K-pop groups in each episode, was launched in 2011, few expected it to be a hit. However, viewer ratings stood at around 0.5 to 0.7 percent, and sometimes topped 1.5 percent, which are notable figures among satellite TV shows in Korea. The show’s signature corners including “Random Play Dance,” and “Profile Verification” in the second segment of the program called “Idol of the Week” and brilliant emceeing of two hosts, especially Jung, made the location, “the third basement,” not only a rite of passage for K-pop rookies but also a must-visit place for top-tier idol groups. With Jung stepping down from the show due to health issues in November 2015, each episode required a replacement of the cohost, starting episode 227 aired on Dec. 2. The list of alternatives were mostly idol stars who garnered attention and achieved success in their career by appearing on the show. Some call the list “Donsadol,” meaning idol group members that ex-host Jung loved. And, as long as the episode goes on, more and more stars are being added to the “Donsadol” list. On Monday, Korean rock band’s singer Jung Yong-hwa was announced to be the sixth replacement. 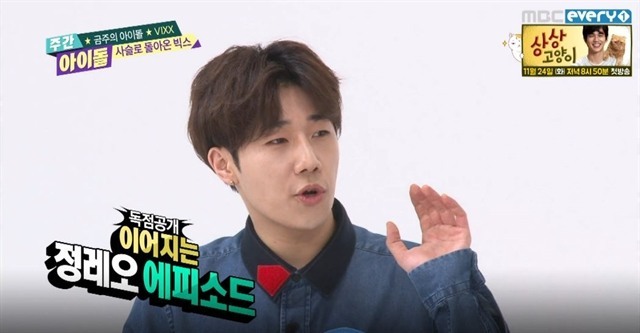 Sungkyu of boy band Infinite cohosted episodes 227 and 228, when boy band VIXX and girl band Twice were guests respectively, Sungkyu was previously invited to 14 episodes, making staff call him “Gajokdol,” or idol member as close as a family member. The downside was that he was “obsessed with the script,” instead of deviating from it. Bomi of girl band Apink cohosted episode 231, when the “Weekly Idol Awarding Ceremony” took place. The episode marked the 22-year-old singer’s third time to host the awarding ceremony. Girl band AOA‘s Minah, boy band VIXX’s N and Apink’s Hayoung joined the show and shared their thoughts on guest idol group members with hosts, sometimes even getting awarded and giving a speech instead of winners not at the venue. The episode marked her 12th appearance on the show. Sunny of girl band Girl’s Generation emceed in episodes 232 and 233, when girl band Lovelyz and rookie boy band Up10tion appeared respectively. Notably in her second episode, as the only female at the scene, the special corner provided all ten members of Up10tion with a chance to act as cute as a boyfriend. 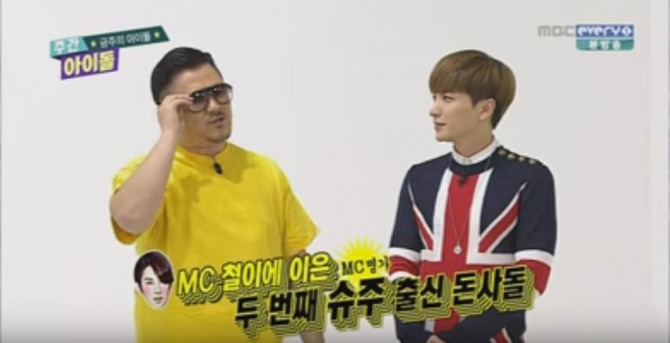 Leeteuk became the second member of Super Junior to cohost the program. He appeared in episode 234, with girl band Dalshabet as guest. Leeteuk uplifted the atmosphere by treating the Dalshabet members with coffee after they failed to pass the “Random Play Dance” and win food.